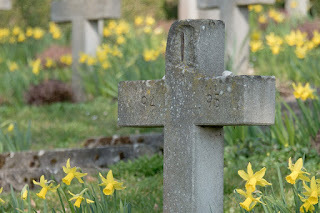 Home Financial Tips Funeral Death Toll: Should You Pre-pay Your Funeral? Death Toll: Should You Pre-pay Your Funeral? Arranging your own funeral may seem gloomy, but many people do it – both to ensure that they get the send-off they deserve and to help take the burden off those left behind. On top of making arrangements, many people will pre-pay for their funeral. Many funeral homes have pre-paid funeral schemes that may require paying a few dollars every month. Are these always the best option? Here are a few piece of advice when paying for your own funeral that will stop you bringing death to your finances in the process. Every funeral home charges different rates. There are comparison sites out there such as FuneralDecisions.com that can allow you to shop for quotes. Be sure to also look at the reputation of funeral homes in the area. Long established funeral homes are generally a good sign as they’ll have a lot of experience in the trade and be able to meet your needs. You should also consider shopping around for individual components such as caskets or urns as you can usually save money on these too. You can broaden your options online – you may even be able to get a customised casket or urn built. Funeral homes can fail and go bankrupt like any other business. It’s worth making sure that there’s a clause in your pre-paid funeral scheme that ensures your money is returned in the event of such a disaster. It’s worth also looking for other things in the small-print such as services and items that aren’t included. Making sure that these are covered will prevent your family from having to pay for surprise extras. Both you and the funeral director that you arranged your funeral with may not be around when your funeral happens, so those left behind will have only a contract to work with. Take the time to read over this contract so that it includes everything you’ve asked for. You could arrange to pay at a later stage. This could be a more secure option, as it could allow you to change your mind on your funeral plans. Life insurance schemes as provided by companies like termlifeinsurance.co could be an option for doing this. There are also POD (Pay on Death) accounts, which are useful savings accounts that be then accessed by a family member when you die to pay for funeral costs. You may also be able to leave behind assets, which can be sold to fund your funeral. It’s worthwhile filling in your family members on your funeral plans so that they know where to access money or which funeral home to go to in order to fulfil your wishes. This could be left in a will, although it could be beneficial to tell your family members in person whilst you’re still alive. This could be an awkward conversation – your kids may not want to talk about your death. However, you should reassure them that you’re not trying to be morbid and are simply making sure that they’re aware of plans. Whilst they may not show their gratitude now, they will eventually come to appreciate it when they don’t have to stress over planning and paying for your funeral.